In the late 19 century, the 19 April was celebrated as Primrose Day in England. 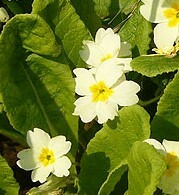 The Primrose (Primula vulgaris) is a low to the ground herb that flowers. It is found mainly in western and southern Europe including Britain. It is also known as the Common Primrose and the English Primrose. Primrose Day was a special day in memory of British Prime Minister, Benjamin Disraeli (Lord Beaconsfield), who died on 19 April 1881. When was Benjamin Disraeli Prime Minister? Disraeli served as Prime Minister in 1868 and again from 1874 to 1880. He was Britain's first, and thus far only, Jewish Prime Minister. What made him special to have a celebration day? England's Primrose day sprang from a friendship between Benjamin Disraeli and Queen Victoria. They were brought together through their love for their country (patriotism). Why are primroses associated with Benjamin Disraeli? Queen Victoria sent a wreath of primroses to Disraeli's funeral with a note stating that they were "his favourite flowers". From reading the note people assumed that the 'his' referred to Disraeli, however, it is now thought that Victoria may have been referring to her late husband, Prince Albert. How was the day celebrated? People paid tribute to the statesman by wearing primroses. The bronze statue of Lord Beaconsfield in Parliament Square was decorated with primroses every year on the anniversary of his death. At 6 p.m. on 19 April 1770 Lieutenant Hicks became the first European to sight Australia. He was one of James Cook's crew on the Endeavour. James and his crew were charting much of the lands of the Pacific, including New Zealand, Australia and Hawaii. Cook established the first European colony in Australia.